What can I do with the audio layer? With the audio layer you can play audio files. How do I create an audio layer? Choose LAYER > Add layer > Add audio layer... to create a new audio layer. The new audio layer can be selected from the layers dropdown to make it the active layer. Audio files start playing at the beginning of the show and are mixed with all other layers containing audio. If BluffTitler fails to play your audio file, you are probably missing an audio codec. Learn more about codecs. Choose LAYER > VJ... to display the VJ dialog. With the VJ dialog you can connect layer properties to the audio volume. This way you can make your show dance to the beat. 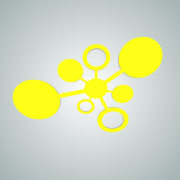 In sync, fully automatically and in combination with any effect. This lists all properties of the active layer. Use the dropdown to select the property you want to connect to the audio volume. Up to 3 properties can be connected per layer. Use the scrollbar to the right to add another property. The layer property can be connected to a limited audio frequency range. From very low (20 Hz) to very high (8000 Hz). For example, to make your layer listen to the bass drum, select the low frequencies. 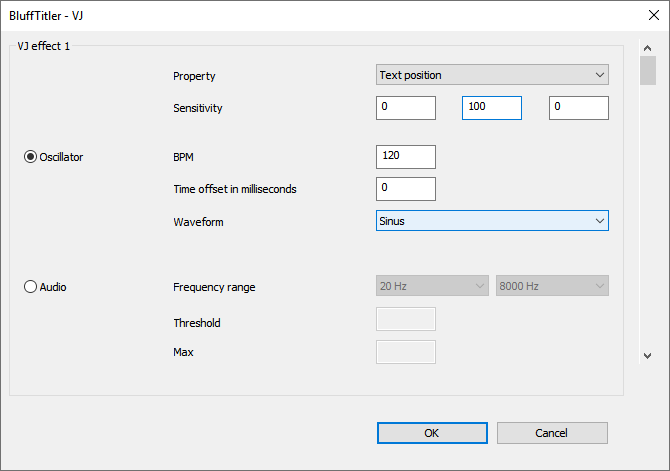 The default range of (20 Hz, 8000 Hz) makes your layer listen to all frequencies. The 3 sensitivity textboxes correspond to the 3 sliders of the selected property. The values are added to the property when the audio is maximum. For example, when the Text position property is selected, a value of (0,100,0) means that at most 100 is added to the vertical position. Use a lower value to make the text jump less high. When a colour property is selected, a value of (255,0,0) means that the audio can turn blue (0,0,255) into purple (255,0,255). The default value of (0,0,0) does nothing. 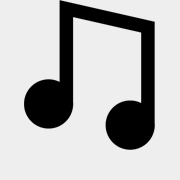 Audio with a volume below this value is ignored. This value must be between 0 (silence) and 1 (maximum volume). 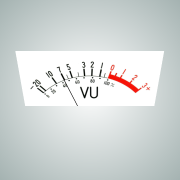 For example, a value of 0.5 means that the layer only begins to respond to the music when the volume is medium high. 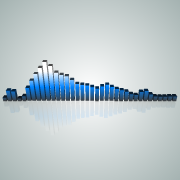 Audio with a volume higher than this value is treated as maximum volume. This value must be between the threshold value and 1 (maximum volume). Next to using the VJ dialog, you can also make your layers dance to the beat with the VJ effects. How do I apply a VJ effect? Apply VJ/VJ_Dancer to your text layer. 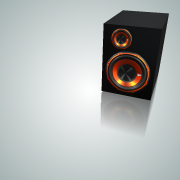 Apply VJ/VJ_PoundingSpeaker to your picture layer. Apply VJ/VJ_SpectrumAnalyzer_3D to your text layer. Apply VJ/VJ_SpectrumAnalyzer_2D to your picture layer. Apply VJ/VJ_SpectrumAnalyzer_Circles to your picture layer. 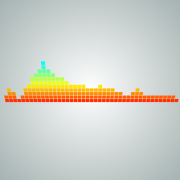 Apply VJ/VJ_VUMeter to your picture layer. Apply VJ/VJ_Dancer to your model layer. 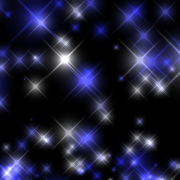 Apply VJ/VJ_Particles_Additive to your particle layer. A popular AC3 filter claims that it can handle MP3 files, but in fact it can't, resulting in silent videos. To prevent BluffTitler from using this filter, open the AC3 filter config tool system tab and disable MPEG Audio under Use AC3 filter for. BluffTitler uses DirectShow to play video and audio files. This means that you require a DirectShow decoder filter for the format you want to play. Unfortunately not all filters behave as they should. A popular MP3 decoder filter adds a delay of almost a second to songs encoded with a bitrate of 320 kbps. Luckily the exported video file plays fine, but if realtime performance is important this bug can be worked around by re-encoding to a bitrate of 256 kbps or by converting it to a WAV or WMA file. A video with audio contains 2 streams: a video and an audio stream. Sync problems can occur when your video is too big for your system to load both streams in time. This can be fixed by using compression. There are many sites where you can download music and sound samples. 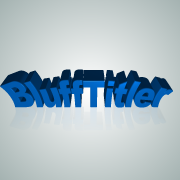 Music for video offers great music and sound effects produced by BluffTitler fans for BluffTitler fans! Audiojungle offers great samples for a fair price. 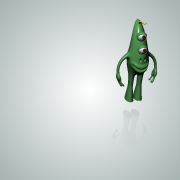 Partners in rhyme offers great music packs. Getty images offers great music. Epic stock media offers awesome sound packs. Audio network offers monetisation codes with their professional licenses to remove YouTube ads.